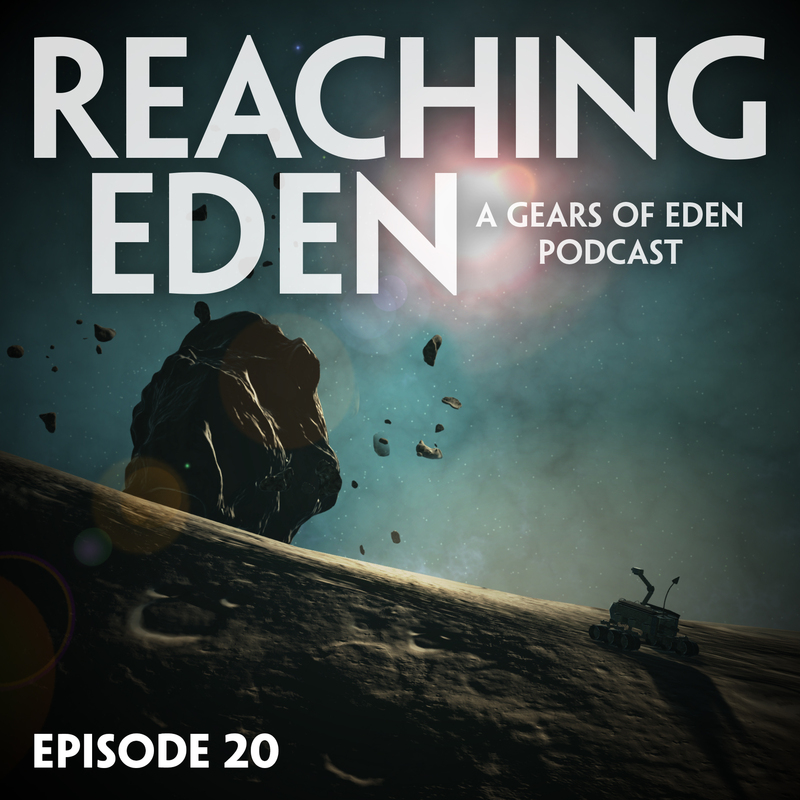 We’re back, with a special guest, in episode 20 of Reaching Eden – the creative inspiration and gaming podcast from the developers of spacebot adventure game, Gears of Eden. This week, we’re thrilled to welcome Twitch Streamer, Ogr3Magi to the podcast. Ogre is a member of The Tavern and The Dragons, two great streaming communities you can find on Twitch. The Tavern community will be hosting a week long charity stream in May which we’ll be participating in to benefit veterans through the work of StackUp. Find out more over at The Tavern’s discord server. In our Gears update segment this week, we talk about our new lore items and tease some news concerning game art updates. We follow that up with our inspiration segment, which this week includes Universal Studios, a DIY Stream Deck, Coco and a discussion on the music design for DOOM! The games played segment this week features Sea of Thieves, SOMA, Persona 5 and Choice Chamber.